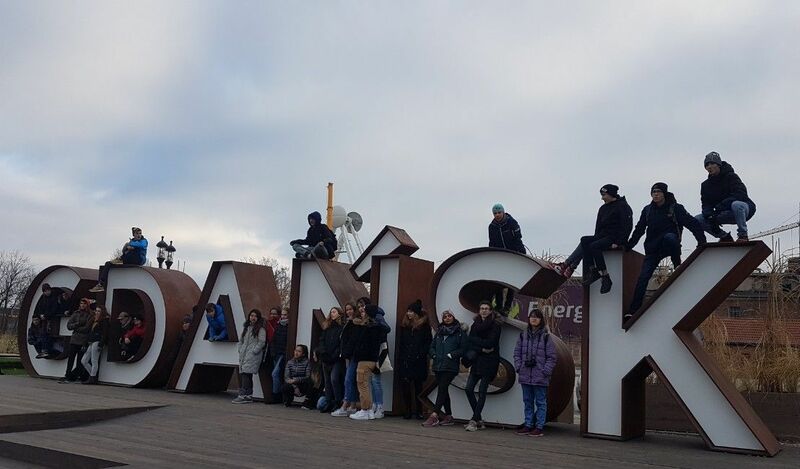 On Wednesday, November 21st a group of secondary students went on a trip to Gdańsk (north Poland on the Baltic coast). The purpose of the trip was to learn more about World War II and times of transformation (1989) in Poland. 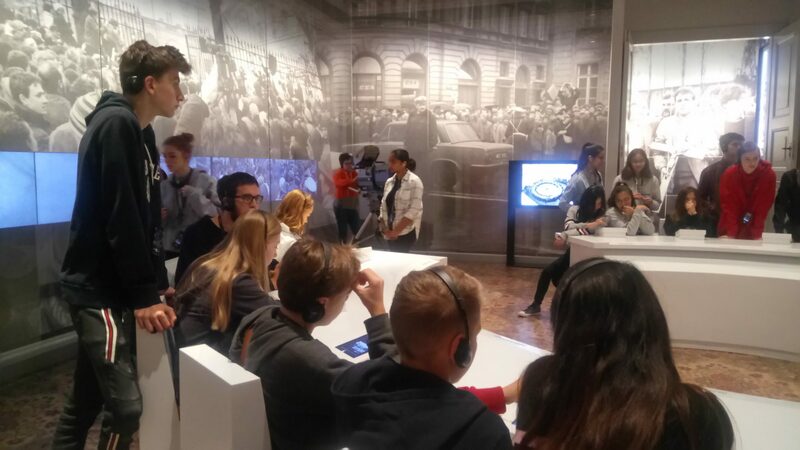 Next day, on Thursday we visited World War II Museum where students spent several hours exploring the past and learning about the event. 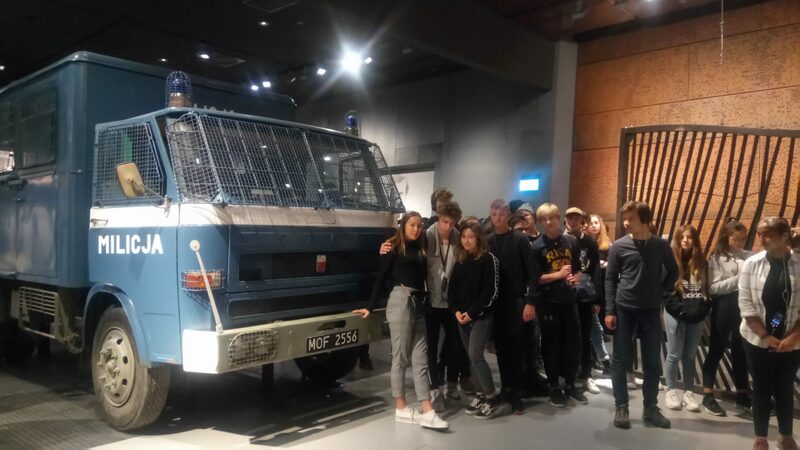 The museum is very interactive, so the students could watch documentary films there, listen to the stories of eye witnesses, explore the streets of cities before the war and after the bombing (standing next to a real tank and having ruins of the walls behind). It was a great learning experience. After the visit we went to Sopot for a walk along the beach. 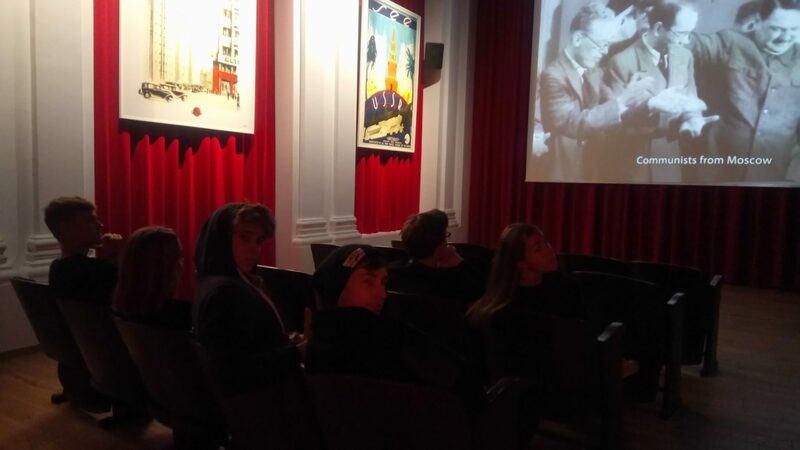 On Friday, the third day of the trip, we visited European Solidarity Center where again, the student could go back in time to explore and learn about life in communist Poland. They could also experience the Round Table Talks from 1989 as a cameraman or a participant of this event sitting at the round table. The students had two museum lessons which were much more interesting than learning in school classroom. 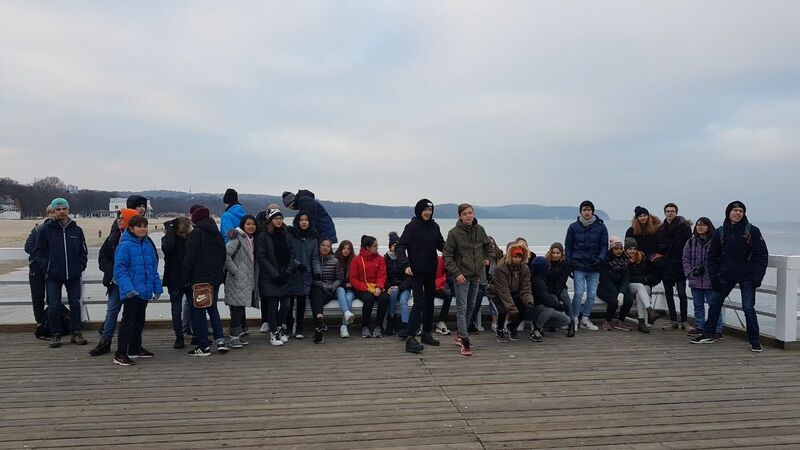 Apart from the learning during the trip, the students had also some time to socialize, play instruments in the hotel and talk to each other.